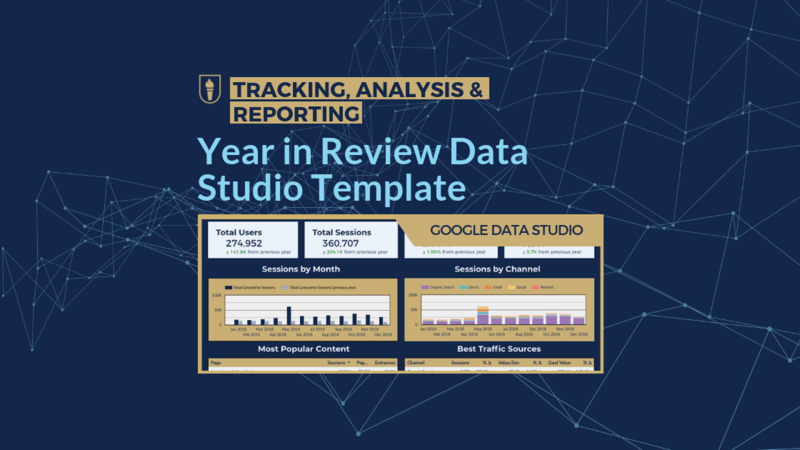 Using this Google Data Studio template will allow you to generate a 2018 vs. 2017 year in review report in minutes. Get a quick overview of how you performed in 2018 for overall website traffic, SEO performance, mobile vs. desktop visitors, and conversion rates. 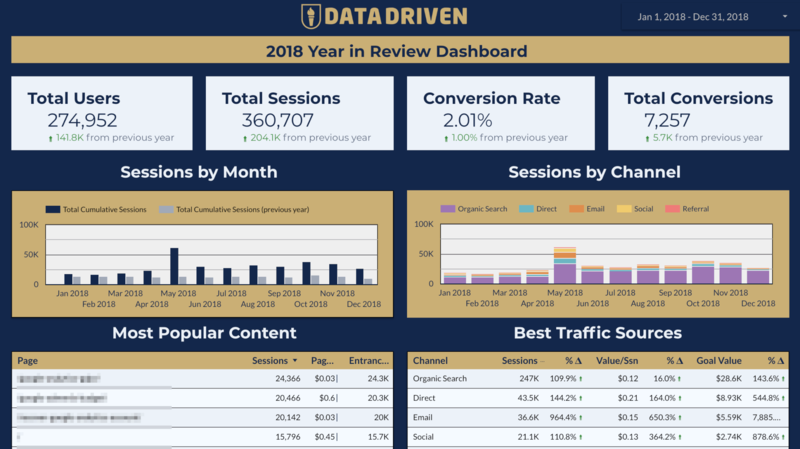 Click to install this template and you'll be able to reflect on your 2018 marketing results in five minutes, even if you have never used Google Data Studio before! 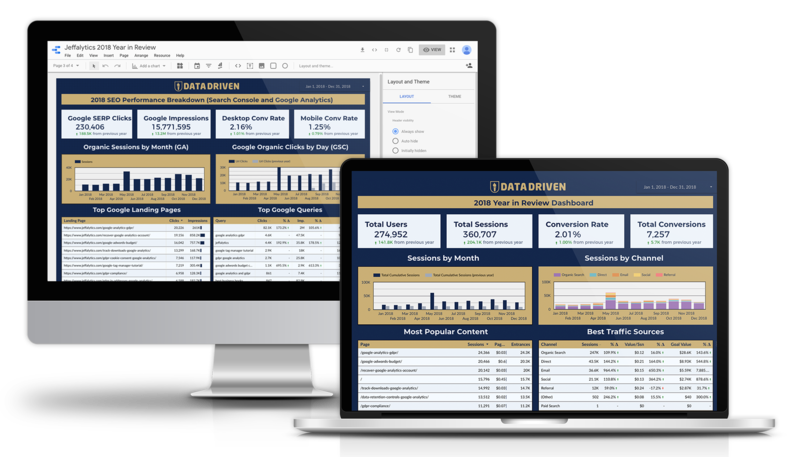 Perfect for bloggers, SEOs, marketers, business owners, and anyone with a website! Get the 2018 Year In Review Template Today!